1. Hi Margareta, where are you from and how long have you lived there? My husband and I, along with our three children, now have a beef property in the foothills. I love the evocative, yet solid, sense of place, of belonging, of being part of a community where our history goes back so many generations. It gives us strong roots, a very real and grounded place to call home. Also, the mountains and the sea are all within an hour of us so it doesn’t matter whether you prefer the high country or the ocean, just make a selection and you can be there without driving all day. 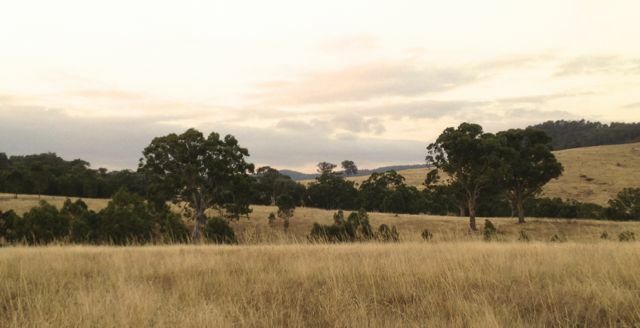 We have the best of all worlds here in the eastern part of Victoria. Oh golly. That’s tough. I don’t do restaurants, cafe’s and such. Ummm … probably the Newry pub for a good old-fashioned family meal or the Tinamba Hotel for more upmarket dining. There’s also a fabulous winery just down the road from our farm called ‘Blue Gables’. They make the most fabulous wood fired pizzas! As we have just moved farms it’s a little hard for me to answer that one. I haven’t decided yet. Can I say that the hill just 20 metres from the homestead is currently my favourite place? Why you ask? Because this is where my writing shack will be built. 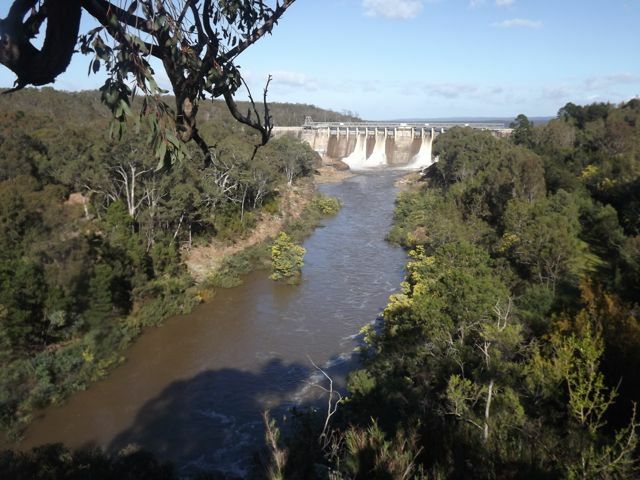 It has 360 degree views of rolling hills, Lake Glenmaggie and out across the irrigation flats, depending on which direction you look. It is stunning and my husband’s working out how he can make me a writing hut that rotates. That’ll be something to see! My hearing aids (worn them since I was seven and can hear pretty much zip without them :)), photo’s and the jewellery box my Dad gave me. In that order. Blow the garden (which is a dust bowl at the minute), the house (it’ll survive), the area where I live (they’ll survive too), I’d pack the family in the Landcruiser and head north with that wand and wave it over the drought affected parts of NSW and QLD. Those poor people are in diabolical trouble. The Man from Snowy River (because I LOVE it) or 27 Dresses because everyone tells me its great but be damned if I can find it to hire. Lol. If a fancy chef managed drive all the way out to our farm, he can cook ANYTHING he likes! Northern Territory or Northern outback QLD in the wet. Canada or Montana – I’d love to see the differences in farming here to farming there. Well first up they don’t usually ring, they just arrive. But If Lucy barks her ‘someone’s here bark’ as distinct from ‘there’s a rabbit/wombat/roo and I’m gunna chase it’ bark, you have time to do C) minus checking the reflection in the mirror. It’s best not to do that. I’d frighten myself on a normal workday! > Even though Margareta would probably love you to pay a visit, why not visit her online right now? > And help her pay for that in-house chef (or housekeeper) by buying a copy of her new book, Mountain Ash, here. > MOUNTAIN ASH is also Random House’s MARCH BOOK OF THE MONTH. You can access reading questions here. > Should your book group decide to read and review MOUNTAIN ASH, check out this offer! 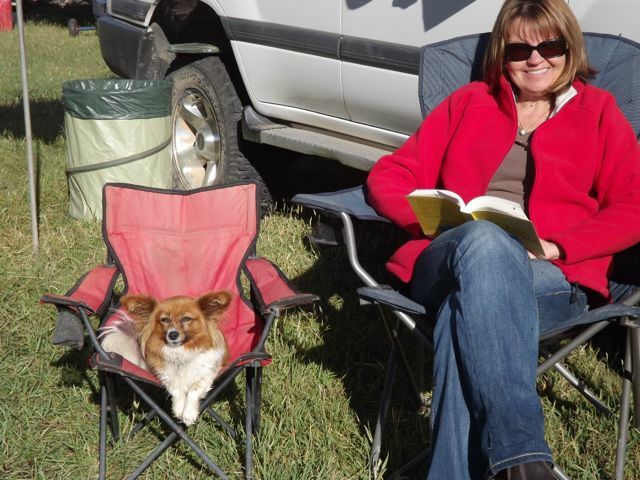 Posted on March 6, 2014, in At Home With..., Interviews and tagged At Home With..., aussie authors, author interview, author interviews, competitions, giveaway, margareta osborn, Mountain Ash, Random House, rural fiction, rural romance, small town romance. Bookmark the permalink. 23 Comments. What a fantastic interview Juliet. I really enjoyed learning about Margareta. I agree with her magic wand for NSW & QLD. Also the farming areas of Montana and Canada are breathtaking to drive by; I hope you get to experience them one day Margareta 🙂 Looking forward to reading your novels. LOl so glad I’m not the only one with cattle vaccine in my fridge. 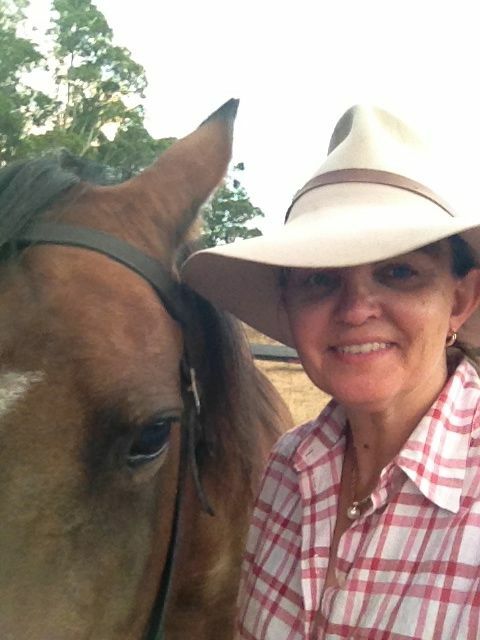 Stunning pictures Margareta and all the best with your new farm. Very nice! I shared on my FB author page. I can’t wait to read the new novel! I have both ‘Bella’s Run’ and ‘Hope’s Road’ and loved them both! Lol, Tricia, the motion sickness could be an issue 🙂 I might have stock up on Quells! I LOVE Margareta, she’s so lovely & down to earth. 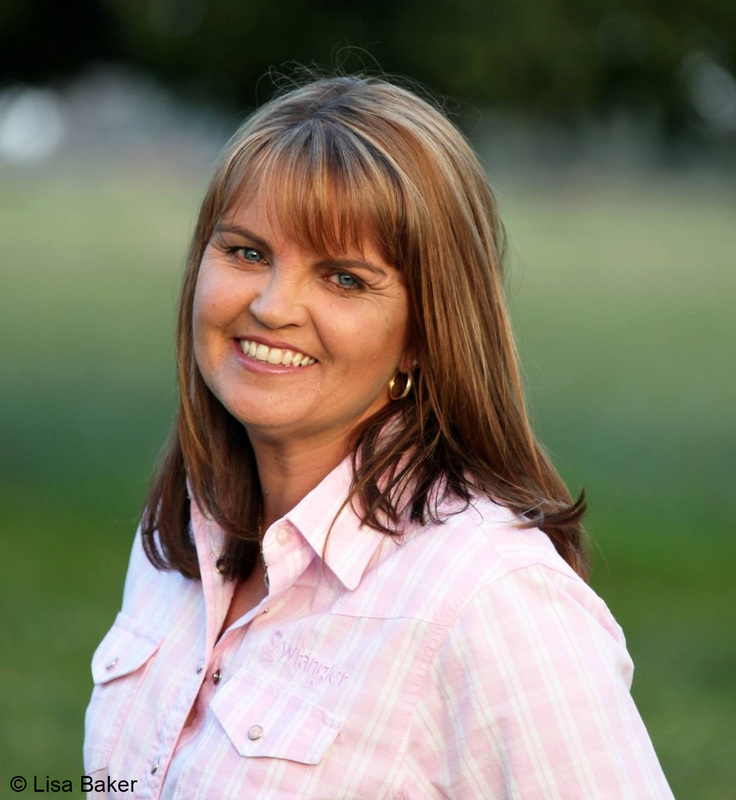 I was lucky enough to meet her at Farmworld last year & wish I could go again 😦 I really loved both Bella’s Run & Hope’s Road but even better my mum read Hope’s Road on her summer holiday in Mildura – she hasn’t read anything in ages but I knew she’d love the characters & ‘sights’ in Hope’s! 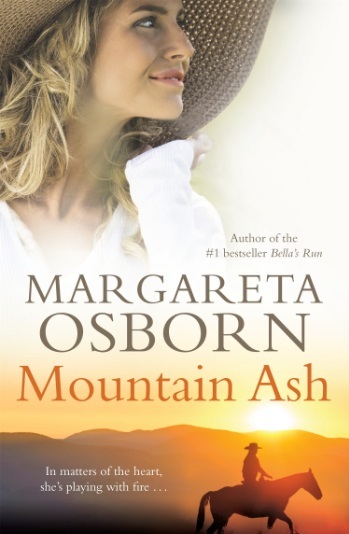 I can’t wait to read Mountain Ash, Margareta’s got a great way of writing that’s really captivating! I have the same destinations on my to do list as Margareta but was actually lucky enough to experience a few weeks in Vancouver years ago – it’s really a very lovely place. Oh Melissa, what a lovely bunch of things to say. Thank you so much. I’m delighted your mum enjoyed Hope’sRoad Road too! I think Mountain Ash might be worth a try for her too! Oh, and I loved A Bush Christmas too! I also love that part of the world, it’s a beautiful spot! Sue, Thankyou for that wonderful feed back. I never really know whether my posts are ‘hitting the spot’ or if they’re just downright boring! I have read all of Margareta’s previous books and loved each one so it would be great to win a copy of her new book. Her writing hut sounds as if it will be amazing. I do hope many more novels are written there. So do I Patricia but I have to get the hut first 🙂 My husband is currently building a machinery shed so I think the spare bedroom might have to do as the office for a while. All those books!!!! They are fantastic. All the best with Mountain Ash. It will be awesome too. I would love to read MOUNTAIN ASH thank you. Having cattle vaccine in your pantry sounds so country – I love it.